The video below will no doubt throw many folks for a loop. 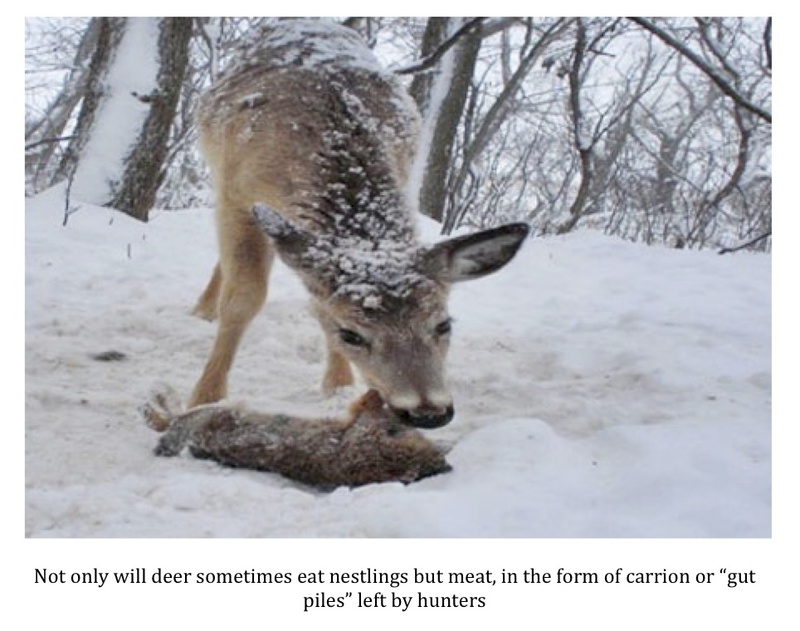 It shows a young white-tailed buck eating a bird that was injured and unable to fly. You can hear the shock in the woman’s voice who is shooting the video. This sort of thing can’t be normal, right? Wrong. It turns out it isn’t that unusual at all. To say the behavior is common would not be true but it has been documented before. It turns out that deer eat all manner of odd things from time to time. 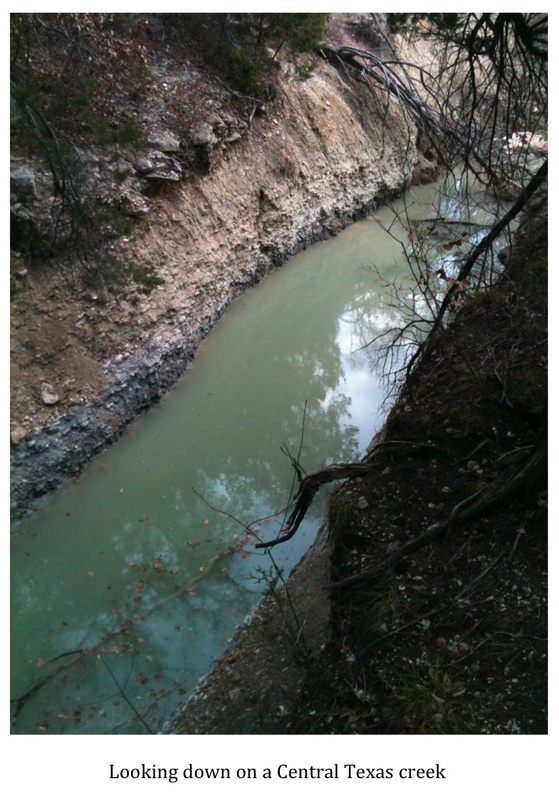 An article written by David Boyd of the Casper Star Tribune way back in August of 1998, and featured here on the USGS website, discusses the predaceous behavior of white-tailed deer (Odocoileus virginianus) and elk (Cervus canadensis). Biologists seem to agree that this sort of thing has likely been going on for a very long time. It is only the advent of small affordable video cameras, game cameras, and cell phones with video capability that have allowed the behavior to be successfully recorded in the last decade and a half or so. After capturing nest predations by white-tailed deer, Pietz posited that they would likely eat eggs as well. She decided to find out. She presented a captive deer with a few quail eggs. “It munched them right up,” Pietz said. While presenting a captive deer with eggs is a far cry from a wild animal raiding a nest on its own, the fact that the animal showed no hesitation in devouring them is telling. 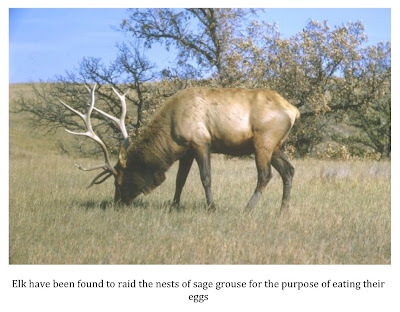 Elk have now been documented raiding the nests of sage grouse (Centrocercus minimus) and eating their eggs. Bird and reptile eggs are nutrional powerhouses. They contain everything a growing embryo would need to survive. They are loaded with high quality protein that is rich in amino acids, fats, vitamins A, D, and E, and minerals like calcium and zinc. Knowing this, maybe we shouldn’t be surprised deer eat them when the opportunity presents itself. But there is more. White-tailed deer, at least some of them, seem to have a taste for fish as well. In a write-up on the Natural Geographic website, J. Wayne Fears writes, “A deer will kill and eat fish by using its paws to disable fish such as trout. Next, it will take the fish in its mouth, chew it and swallow it. 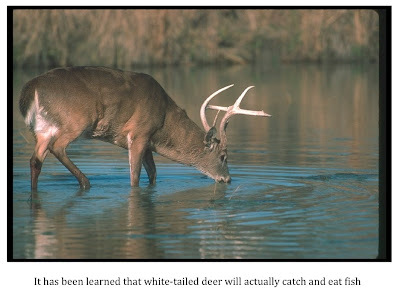 Whitetails commonly eat fish up to 14-inches long.” I had heard of white-tailed deer eating odd things before but never fish. I have to admit this was new to me. Maybe we should keep this story in mind the next time we hear someone report something unusual concerning wildlife behavior. Sometimes, it turns out that what they are reporting isn’t so unusual after all; it just had yet to be documented. I have been really busy lately and have not been able to post as much as I would like. Family and job responsibilities have run me ragged over the last several weeks. I'm going to try to get back at it soon as there are a couple of things I would like to post about. 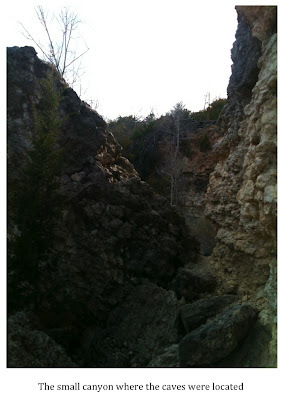 In the meantime, I did manage to get out for a short day trip this past weekend. It was mostly for therapeutic purposes as I have had some serious cabin fever. The pictures below are some I took while out and about near my home in Central Texas. There was no cryptozoological bent to this outing. It was, like I said, just sort of a mental health outing for me. 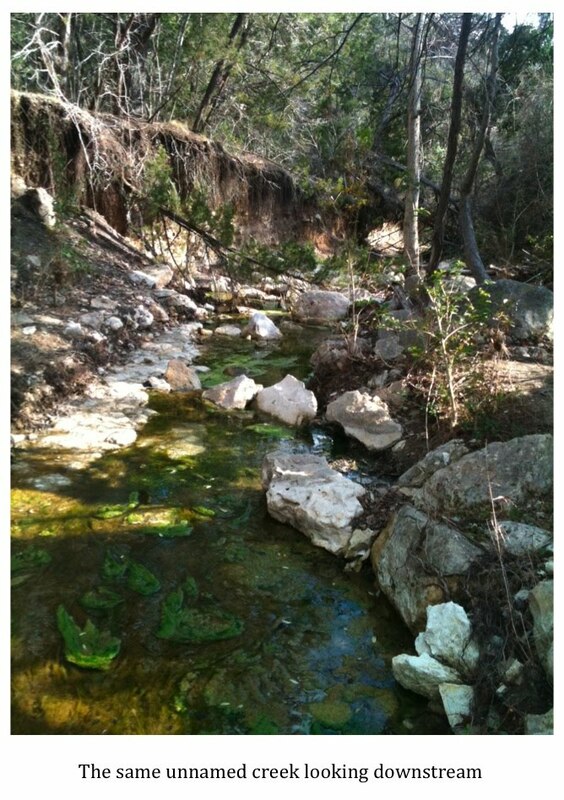 As is usually the case, I felt much better mentally and physically after my outing. I took a few pictures while I was out and thought I would post them here for a couple of reasons. 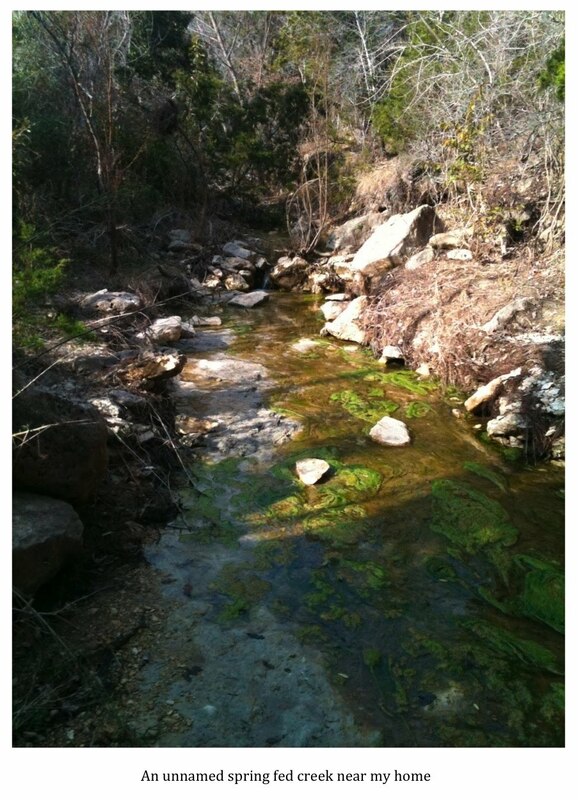 First, I thought I would share with you all what some of the country near my home looks like. Second, I recently acquired a new iPhone and wanted to test out it's picture taking capabilities. I want to see if the resolution of the photos is high enough for posting online. Hopefully, they will come across ok. I hope you enjoy the photos. Hopefully, these shots give you some idea of what I see on a weekly basis around my little patch of the Lone Star State. 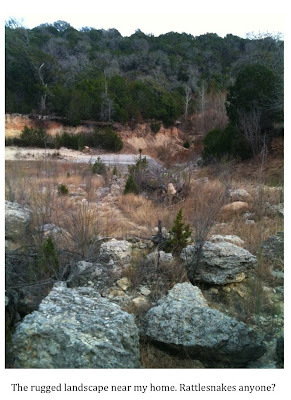 For those of you used to seeing photos of heavily wooded and forested land this give you a bit more insight into the incredible geographical diversity to be found in Texas. I have posted in the past about how coyotes (Canis latrans) seem to be getting more comfortable in close proximity to humans. I have speculated as to whether or not the increasingly bold behavior of coyotes poses a risk to humans. Many others began to wonder when Canadian folk singer Taylor Mitchell was attacked and killed by coyotes in what is described as the first documented attack on an adult human in history. It seems I am no longer the only one to wonder about this. A talented young folk singer, Taylor Mitchell, is killed by coyotes as she hikes alone in a Canadian national park. It's the first fatal coyote attack on an adult human ever recorded, and it shocks not only the surrounding community but coyote experts as well. 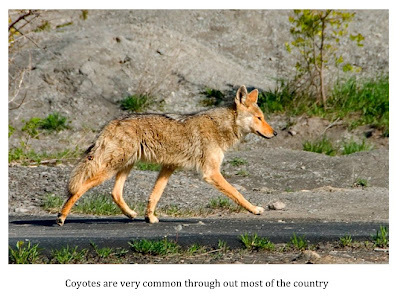 Highly intelligent and generally timid around people, coyotes have traditionally not been considered a threat to human communities. But are they becoming more habituated to us and are they losing their fear of us? In the wake of the attack, scientists, police and park rangers try to develop a clear picture of what happened - and why. And with coyote numbers increasing throughout North America, we explore how humans and coyotes co-exist. It will be interesting to see what conclusions the producers draw from their look at recent coyote behavior. Check your local listings for the time the program will air in your area. You can revisit my previous posts related to this subject here. 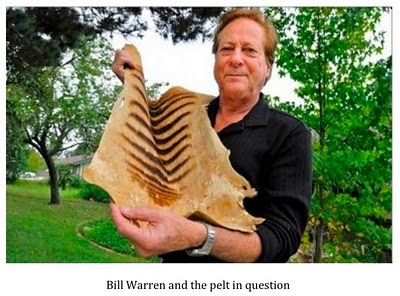 Regular readers of this blog may recall that back on November 22 of last year I posted a piece written by TBRC Chairman Alton Higgins regarding the claims of one Mr. Bill Warren who says he purchased the pelt of the ostensibly extinct Tasmanian tiger, or thylacine (Thylacinus cynocephalus), at a garage sale in California. You can revisit the original post here. 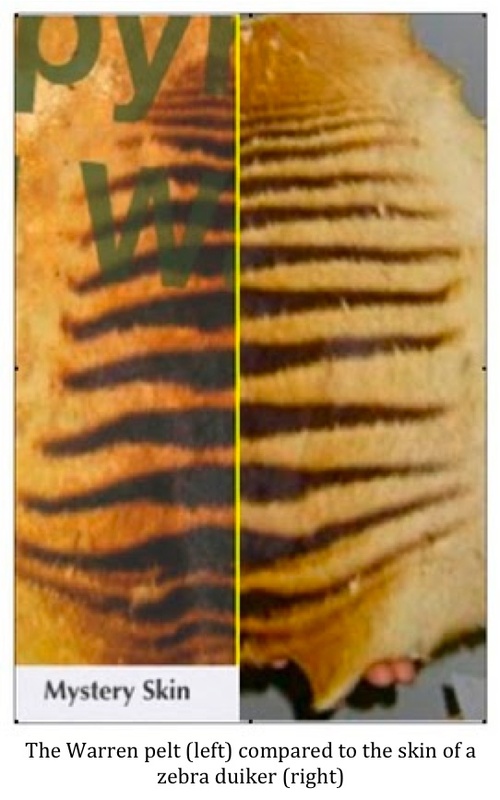 "Based on stripe pattern comparisons alone, I’d have to posit that the skin purchased by Bill Warren is probably that of a zebra duiker rather than a thylacine. The zebra duiker is classified as a threatened species. I’m sure any number of natural history museums would be happy to have it in their collection." According to an article posted on the San Diego Union Tribune website, others are now coming to the same conclusion. SDSU biology professor J. David Archibald inspected the pelt a week or so ago. His conclusion? The pelt is that of a zebra duiker. 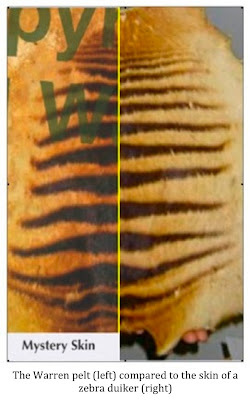 He wrote in an email to Bill Warren, "While I cannot make any definitive assessment other than the pelt is genuine, I lean toward it being a zebra duiker based on the cumulative evidence." Archibald added, "Even if this identification is correct, this is a threatened species, and the pelt might be valuable if it can be sold legally." These words echo the comments of Higgins made back in November. The claim that the pelt is that of a thylacine does still have supporters, however. Archibald did say in his email to Warren that he had a colleague in Sydney, Australia that believes the pelt is that of a thylacine. How this determination was made is not clear in the article. The final determination is important to Warren as it will greatly influence the potential value of the pelt. Museums and private collectors would likely be willing to pay upwards of $60,000 for the hide if it can be definitively proven to be that of a thylacine. Many don't understand why obtaining this proof is a problem. Why not just have DNA testing done on the pelt and be done with all the speculation? The answer is a simple and familiar one: money. DNA testing is expensive and Bill Warren is unable to pay for it. He may not even want to as he would be taking an expensive gamble. I don't doubt Mr. Warren believes the pelt to be that of a thylacine but in the back of his mind he can't be absolutely sure. According to the news article he is, "flat broke." 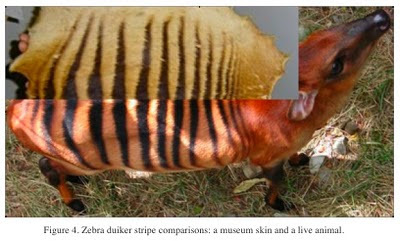 If so, to cough up the money for DNA analysis and find out the pelt is that of a zebra duiker might be painful. It seems no universities or museums stateside are interested enough to spring for the testing. Warren does say that an Australian auction house would be willing to pay for DNA testing but faces a classic catch-22 situation. Although the thylacine is generally considered to be extinct, it is still listed as an endangered species by the U.S. Fish and Wildlife Service. That being the case, Mr. Warren can't ship the pelt to Australia for testing without a special permit; however, he can't get said permit because he can't prove the pelt is that of the endangered thylacine. Confused? Just imagine how Bill Warren must feel. One has to wonder if Mr. Warren is beginning to wish he had never found this pelt in the first place. Sasquatch FAQ: How Do They Survive Harsh Winter Conditions? 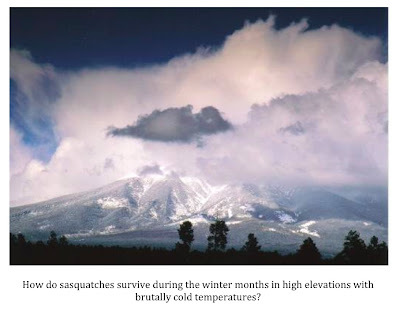 One of the questions often asked by those who are skeptical that a large primate like the sasquatch could exist in the more remote forests and mountainous regions of our planet is, "How could they possibly survive the severe winters in the temperate regions they are said to inhabit?" I've seen the question more often of late as the massive winter storms that have blanketed up to three quarters of our country in snow and ice the last several weeks have reminded us just how brutal winter can be. So, what is the answer? Assuming the sasquatch exists, how does it survive harsh winter conditions when sub-freezing temperatures are common and food is scarce? The question itself, in my opinion, is flawed. Merely asking the question may be a result of we, as people, assigning human-like traits and, thus, frailties, to a species of animal. Nobody wonders how deer, cougars, moose, etc. survive the winter. The fact that the sasquatch is reputed to be bipedal, I believe, affects how we think about it. Even so, there may be clues as to how the sasquatch might be able to endure incredibly cold climates, at least for a time, found by studying how other animals manage to do it. For example, a recent study conducted by the Research Institute of Wildlife Ecology, University of Veterinary Medicine, Vienna, and published online by the journal Functional Ecology, shows that sunbathing, or basking, in sub-zero temperatures is an important part of the winter survival strategy of the Alpine ibex (Capra ibex). The study asks the same question mentioned above. How, when temperatures plummet and food becomes scarce, do large non-hibernating mammals, cope in winter? In an effort to find the answer the group outfitted a number of wild Alpine ibex with sensors for measuring heart rate (which is a good indicator of energy expenditure), temperature in the stomach (a solid point from which to get a true body temperature reading), and locomotor activity. The group monitored the ibex for a period of two years while also recording the varying climactic factors during that span. The results were interesting and a bit surprising. 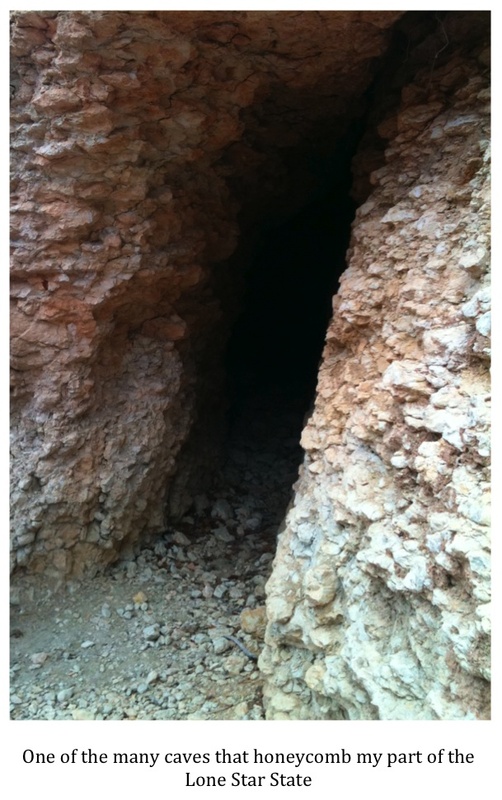 The first finding was that the ibex actually lowered their heart and metabolic rates significantly during the winter. By doing so the ibex used less energy and burned fewer calories, which allowed them to cope with the natural shortages of food during the cold months. The decrease in heart rate was found to be greater than the difference that might be expected by lower activities and/or lower body temperatures. This indicates the ibex have some other mechanism for conserving energy. Scientists do not yet understand what that mechanism is or how it works. So, the ibex were able to sustain themselves on less food by somehow lowering their heart and metabolic rates but how are they able keep warm without extra calories to burn? The body temperatures of the ibex did fluctuate during the day. As might be expected, the lowest temperature readings were recorded around sunrise, after an entire night of bitter cold, and the highest temperatures were recorded in the late afternoon. 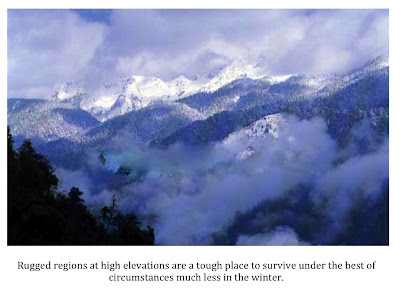 These temperature fluctuations proved to be much greater in winter than in the warmer summer months. During the winter months the ibex would bask in sunlit areas until mid-day to help increase their core body temperature. Normal locomotor activities did not really begin until the body temperature of these animals peaked in the early afternoon. During the morning, these animals hardly moved at all. The only significant movement to take place prior to mid-afternoon was when the ibex moved from their night time bedding areas to the nearest sunny spot. Basking is a well known and oft observed behavior used by reptiles and some small mammals, like the rock hyrax (Procavia capensis), but was not thought to be used to any large extent by bigger mammals. This study seems to dispel that notion. Indeed, Walter Arnold, one of the lead scientists involved in the study said, "The ability to take advantage of external sources of heat may be common to all mammals." He added, "It may form part of our heritage from reptiles, enabling us to conserve body reserves during periods when food is scarce." In a nutshell, what the study says to me is that the ibex studied were able to lower their energy needs during the coldest months of winter by reducing their metabolic rates. This would reduce the amount of nutrition needed to survive which is definitely a plus during the winter months when food-stuff is much more scarce. The ibex were able to overcome the lack of calories and help maintain their body heat by taking advantage of the only available external source of heat...the sun. The conventional thinking, that additional calories are needed to maintain body heat in winter, seems to be off base when it comes to this species. Granted, the orangutan study focused on great apes that live in tropical environments and don't have to worry about generating enough body heat to survive harsh winters but I feel the fact that they possess a mechanism that seems to kick in during times when food is scarce to lower their energy needs could be a significant clue as to how the sasquatch might survive during times when food is scarce and the weather turns cold. The ibex study points to other large mammals having this same ability. I think there are certainly other factors that should be considered when it comes to how the sasquatch might survive harsh winters and periods of time when food is hard to come by. Sasquatches may very well move from higher elevations when the coldest winter months arrive. I'm not sure I buy into any sort of full-fledged migration covering hundreds of miles but who knows? Another thing to consider are the implications of Bergmann's Rule which, to vastly oversimplify, implies that animals with great bulk and size are better equipped to deal with cold and harsh climates. I could go on but you get the idea. To wrap it all up, it is important not to "humanize" the sasquatch. Don't assign the species the same frailties that would make it difficult for us to survive in brutal conditions to them. The debate on whether they are some sort of great ape or a primitive human is moot here. Be they human or ape they are made of much hardier stuff than we Homo sapiens. It is very possible that they possess some internal mechanism, like the orangutan and the ibex, which allows them to lower their metabolic rates and activities to such a point that they can survive on very little food for long periods of time. They may not need an abundance of winter calories to survive the cold after all. As for basking in the sun to help raise body temperature, well, it makes sense to me. This species is said to exist in extremely remote locales and likely has very few natural enemies. So, sitting in a small clearing or on a rocky outcrop that is receiving direct sunlight would not put them at a large risk of predation or of being seen by humans. The fact they are covered with hair would help camouflage them even in an open area. Again, we must remember that they are not like us. They would not stand out starkly against their surroundings like a human wearing hunter's orange. If there is no real danger of discovery in sunning themselves for a while then I can't imagine why the species would not do it. I know when camping in cold weather I will move my camp chair through out the day to stay in sunny spots. This basking would be the equivalent of that behavior. Winter may not be a time of plenty for sasquatches in temperate locations but the fact that sightings of these creatures have continued unabated for centuries tells us that they have figured out a way to deal with it just fine. 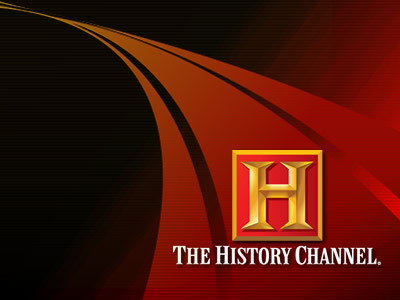 A Second Review: "Bigfoot: The Definitive Guide"
Perhaps we should have taken a clue from the use of our favorite perpetually persecuted sasquatch (of Jack Link’s Beef Jerky fame) to publicize “Bigfoot: The Definitive Guide,” shown 2 February 2011 on the History cable channel. 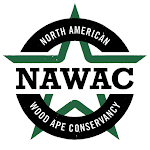 Despite the involvement of a distinguished cast of scientists, the only “definitive” thing about this latest foray into squatchploitation was that it shouldn’t be taken much more seriously than a humorous jerky commercial. Unfortunately, “The Definitive Guide” needed content more than it needed style. There were some things about “The Definitive Guide” that I enjoyed. Beautiful mountain vistas graced the program throughout, and I thought the dozen plus sighting reenactments were done well. Near the beginning of the program I was pleased to hear the narrator affirm, “Something is out there, but what?” It was also refreshing to see a few new faces from the scientific community willing to grant the sasquatch phenomenon and the question of unknown hominids some time and open-minded deliberation. primates, one might smile in amusement at the suggestion, but the zany idea is supposed to be taken seriously if it’s offered by a group of scientists. I suppose it applies equally to reported sightings in Texas and throughout the south. a Mike McLeod, said to be a journalist. Another investigative technique that “The Definitive Guide” barely touched was the use of detection dogs. 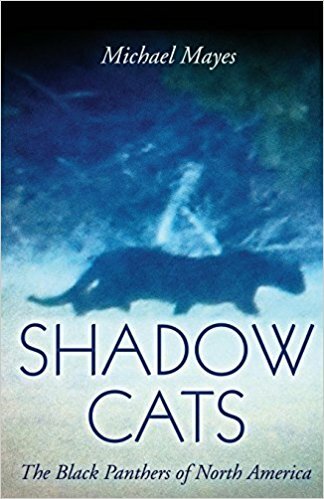 I have spoken with Meldrum and Mionczynski about this novel avenue of research, and I feel that their insight and experiences could have made for some captivating television. Through a presumably rigorous report-winnowing and habitat analysis process the panel deduced the existence of several global “hotspots” of activity that could have some basis in reality. This is all well and good, but it’s surely misleading to casual viewers who may not realize that these areas have long been identified and associated with large bipedal primates. I did think the panel made some reasonable deductions in proposing that the yeti, mande burung, and yeren all represent the same species, the likely descendents of Gigantopithecus. I also think it’s safe to presume that this was not an issue upon which Loren Coleman, who prefers to think in terms of present-day multiplicities of elusive unknown hominoids (even in North America) was consulted! Speaking of Coleman, he was apparently (I’m guessing) the source of the so-called “Myakka Ape” photos briefly flashed on screen. Their inclusion was an embarrassment to the program, which had enough problems as it was, and served as evidence that the producers did an inadequate job of researching their subject. In a 2004 article, based on conference presentations from 2003, I laid out a number of reasons why I believed those photos should be discounted. The fact that the Myakka affair was given any heed, “even after quite explicit evidence has shown it to be a hoax,” as Jeff Meldrum wrote in 2004, is frustrating. corroborative evidence, I don’t think speculations based on such legends or beliefs warrant consideration in empirical, as opposed to social, science discussions. the way places” was proposed as supportive evidence. apparently undisturbed, and we left it that way. I had the same thought on another occasion when we climbed up a desert mesa while hunting javelina. It was a tough climb, rocky and thorny, but when we reached the top we found, much to my surprise, a veritable field of broken pottery and matates. There were no trees, no water, no soil for farming, yet it was plain to see that the area had been inhabited. My point is, just because a place seems “out of the way” to our modern sensibilities doesn’t mean it would have been avoided in the past. 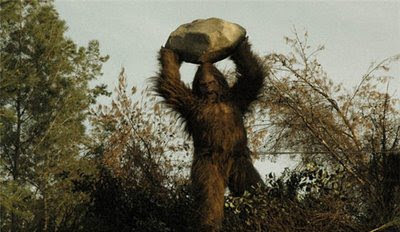 Finding stone scrapers in seemingly odd places in British Columbia should not be seen as evidence supporting a modern human explanation for bigfoot sightings. Ian Redmond and Kathy Strain quickly quashed the quirky theory that “The Definitive Guide” spent far too much time developing, just as I have spent too much time discussing it. herself as an “expert” at anything, but the narrator’s use of the term brings up a sore point often discussed by bigfoot enthusiasts with regard to scientists, if I may digress once again. In a strange dichotomy, members of “the bigfoot community” (whatever that is) often complain that members of the scientific community pay scant attention to the bigfoot phenomenon, at least publicly. At the same time, those who do are often ostracized or criticized because the “expert” label is often affixed to them (even if this is done by others, not themselves). I have no problem with describing the scientists involved with “The Definitive Guide” as experts in their fields, and each is in a position to commentauthoritatively on different aspects of the presumptive natural history of the sasquatch and other hairy hominoids. Blithely dismissing the opinions of a scientist, especially if the opinions are thoroughly considered and within the scientist’s purview, just because the scientist has never seen or claimed to have seen a sasquatch, amounts to little more than playground-level gamesmanship, in my opinion. Cindy Dosen may have been chased by a bigfoot, but that doesn’t make her an expert at bigfoot vocalizations (the producers should have provided an analysis of the recorded vocalizations) or an expert field researcher any more than I can claim to be a comet expert just because I’ve seen a couple of them. no previous history” of reported sightings in North America when, in fact, there are thousands of such reports (not to mention the ubiquitous legends of native cultures) extending back hundreds of years, as documented in a couple of compendiums on the subject. Overall, I have to say that I got the impression that the documentary was just too hurried in its production. A couple of us in the TBRC had extended conversations with a producer about possibly participating in the filming of the show, but it was almost a “right now” situation and schedules, made more complex with a flight to Canada as part of the mix, could not be worked out. I don’t think participation by one or two of our members would have made any difference in the quality of the final result, and I don’t fault any members of the team of scientists. Involvement in these kinds of projects is always unpredictable; they had no way of knowing if the result was going to resemble MonsterQuest on steroids, a BBC nature documentary narrated by David Attenborough, or something in-between. At least the subject was treated in a serious manner. 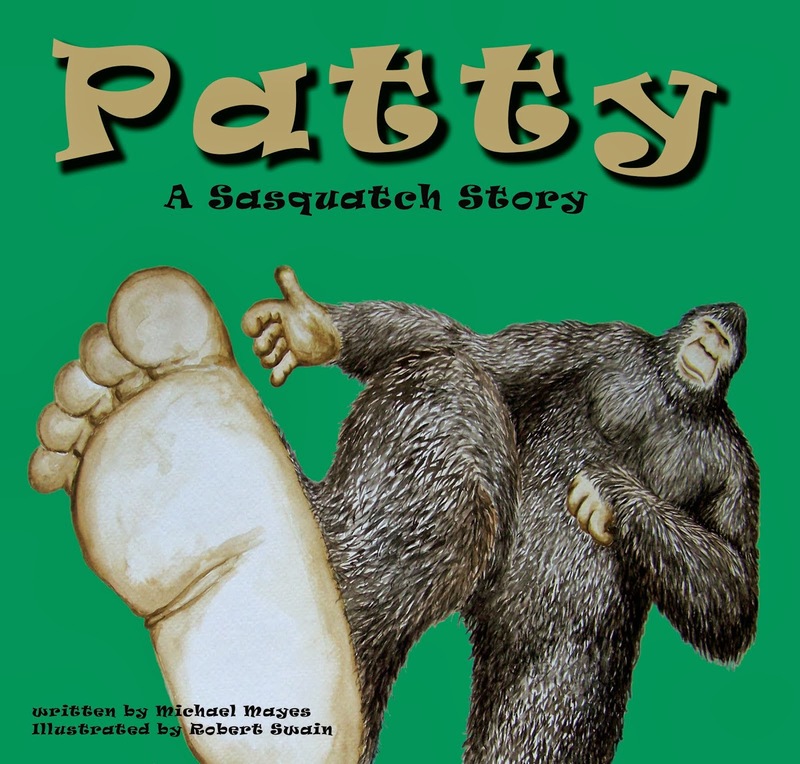 There were no tongue-in-cheek comments from the narrator or condescending comments from smug critics, as is too often the case in bigfoot-related programming. My final comments concern my first bit of apprehension upon hearing of the program, specifically, the “Bigfoot: The Definitive Guide” title assigned to it. This told me that whoever was at the helm of the documentary lacked a true scientific perspective regarding scientific knowledge and the processes used to learn about the world around us. No scientific explanations are fixed, set in stone, definitive. All knowledge is tentative, subject to change. Challenging the ideas, results, theories, evidence, and etc. of other scientists is a big part of what drives scientists and makes science fun. Sure, some scientists learn things that help mankind in one way or another, but most pursue arcane topics out of an unrelenting sense of curiosity and the joy that comes from discovering something new. garnered a degree of success that goes beyond television ratings or generally critical reviews. Review: "Bigfoot: The Definitive Guide"
I took two hours out of my life to sit down and watch The History Channel's "Bigfoot: The Definitive Guide" last night. I must say that I was unimpressed. There were a few bright spots but they were few and far between. The program promoted the notion that a team of scientists had discovered, via extensive analysis, "global hotspots" where sightings have occurred on a regular basis throughout history. The suggestion was that something new was going to be shared. Instead, we "learned" the "hotspots" discovered were the Pacific Northwest, the Himalayas, Caucasus Mountains, and Indo-China. These areas are well known for sightings of upright, hair-covered, hominids. Certainly, nothing new was revealed there. Worse than that, however, was the way other areas that have a long history of sightings were ignored or, in the case of Florida, simply blown off. I found the theory that the Florida skunk ape sightings could be explained by a couple of escaped chimps to be absolutely laughable. This explanation was all the more astonishing as just prior to this statement the narrator had proclaimed the warm swamps of Florida to be an ideal habitat for a great ape. 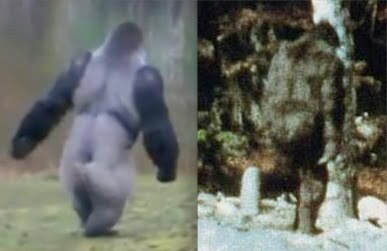 The treatment of the Patterson-Gimlin footage was equally disturbing. Interestingly, the film was simply called the "Patterson film" in the program, which I found odd as there was another individual present, Bob Gimlin, when this footage was captured. Dr. Jeff Meldrum gave a very calm and well thought out explanation of why he felt there was a good chance the footage was genuine. The counter argument given by his British counterpart was simply, "I totally disagree...it just screams of a man in a costume." No arguments given to support this position, just that statement. Pretty weak. That is about as far as the "analysis" went. Instead, the program turned to an investigative reporter who attacked the credibility of Roger Patterson. Suddenly, the reason Bob Gimlin's name was never mentioned became clear. He would have rebutted many of the points made by the reporter. I understand why many have questions about Roger Patterson and I would not have minded the subject being discussed had someone, preferably Bob Gimlin, been given the opportunity to present the other side of the story. 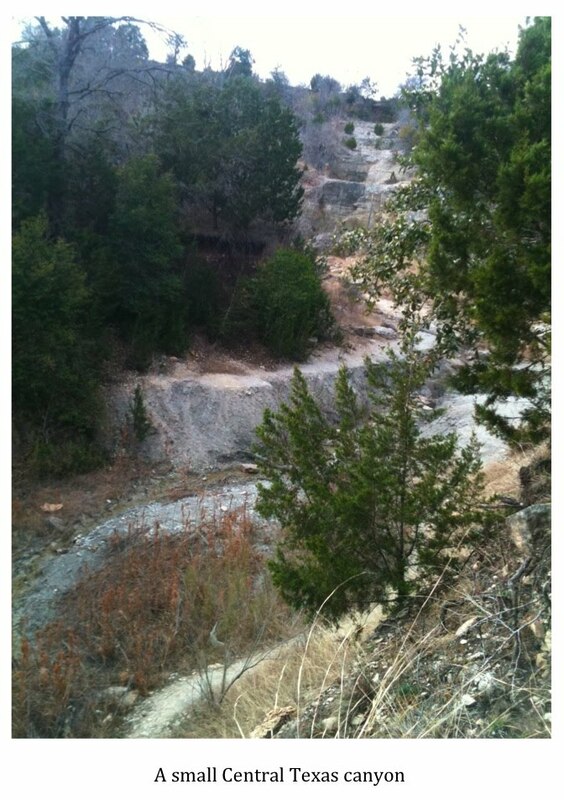 I suppose it is possible the producers contacted Gimlin and he declined to appear. As it was, though, the segment came across as a smear job against a dead man who could not defend himself. I wonder if that investigative reporter would have made his assertions of the film-maker(s) not being credible quite so strongly had he had to look Bob Gimlin in the eyes as he said it. For me, the program went from being underwhelming and mediocre to downright ridiculous when the theory was advanced that, instead of seeing an ape-like animal of some sort, witnesses might be catching glimpses of modern humans who have turned their backs on the trappings of modern society and gone feral or reclusive Squamish shamans in training. This was, no doubt, the idea behind the final line in the promotional tease that stated, "...new theories suggest we may have been looking for the wrong creature all along." Fortunately, this theory only hung out there for the length of one commercial break before it was summarily dismissed. After all, the sightings are too widespread to be attributed to feral humans or shamans. Neither would this theory explain the extraordinary size of putative sasquatch prints or the massive creatures described by witnesses. There were a few bright spots in the program though they, too, were few and far between. I thought mentioning the recent discovery of the Bili Ape in the jungles of the Democratic Republic of Congo was appropriate. The Bili Ape is a massive chimpanzee-like primate that can stand up to 5 feet tall and weigh 300 lbs. 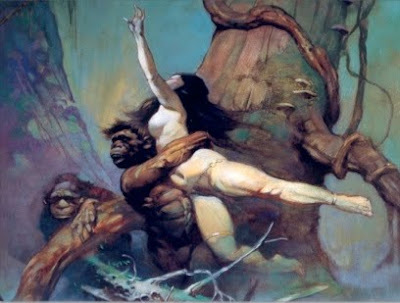 These apes were considered pure myth by most mainstream scientists despite the fact that the indigenous people of the region insisted the mysterious "lion-killing" apes were real. The species was brought to light by primatologist Shelly Williams who first observed them in 2002. Also, I thought the short segment on how Dr. Meldrum and wildlife biologist John Mionczynski were working with cadaver dogs, in the hopes that they could be trained to track a sasquatch, was interesting. Unfortunately, this portion of the program was glossed over in only a couple of minutes and not brought up again. I thought the discussion of the sasquatch possibly being a type of pre-historic man was interesting. The mention of Homo heidelbergensis as a possible candidate was new to me and was much more plausible than the feral modern human or reclusive shaman theory posited later in the program. All in all, "Bigfoot: The Definitive Guide" was a disappointment. It was good to see that the program promoted the idea that there is a biological basis behind the sasquatch enigma. Very little new ground was covered, however, and the program blundered into the realm of the ridiculous with the shaman theory. Ultimately, it was the way the program insinuated that sightings of bigfoot in areas other than the "hotspots" identified by the panel were merely the product of overactive imaginations stimulated by the Patterson-Gimlin (I will use both names, thank you) footage disturbed me the most. The suggestion that areas outside the identified "hotspots" had no history of sightings prior to 1967 is inaccurate and points to a lack of homework by the producers. This is one program that will not be added to my DVD collection any time soon. "A team of top scientists come together with one goal to create the definitive guide to Bigfoot. Does the creature exist? And if it does where is it? And how can it survive without being detected? Using a new interactive map the team has plotted more than 10,000 Bigfoot type sightings from around the world. These sightings are of an unidentified creature which walks on two legs and is covered in a thick layer of hair. Many of theses sightings date back over 100 years. With their expert knowledge of the natural world they are able to dismiss nearly 90% of the sightings, but what emerges is a series of global hotspots that cannot be explained which indicate that something is out there. The team examines these global hotspots and searches for explanations including new theories that suggest we may have been looking for the wrong creature all along?" As always, I'm cautiously optimistic about how the subject will be treated. The trend of late has been encouraging as the last few shows dealing with this subject have taken an open-minded and serious look at the phenomenon. I am curious to see where these "global hotspots" are located and if one of them falls in within the East Texas, Southeast Oklahoma, Southwest Arkansas, and East Louisiana region. The final sentence troubles me a bit. I will be interested to see what the producers meant by saying, "..new theories suggest we may have been looking for the wrong creature all along." I'll provide my thoughts on the show at some point later this week. Here is a video clip sent in from a reader that features a bobcat (Lynx rufus). 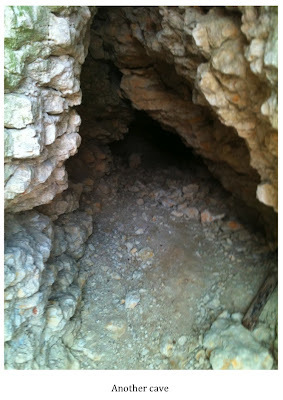 The video was captured by a game camera placed behind the reader's house. The video itself, while very cool--I think nearly all video of wild animals is cool--does not show the bobcat doing anything particularly unique. What is unique is where the video was captured. 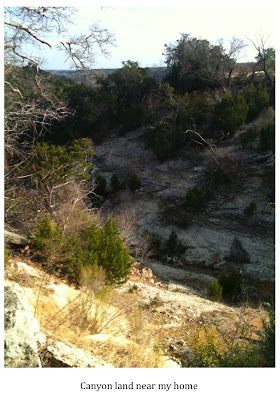 The reader lives inside the city limits of Houston, Texas. The last time I checked, Houston was the fourth largest city in the U.S. I have another, much more extensive, big cat post that I'm working on. It is made up primarily of emails sent to me by readers. I think you'll find it interesting. Until then, enjoy this video of a "city cat."